Almor have also joined forces with Lithuanian based company 'SNOL', becoming their UK distributor. SNOL entered the thermal process equipment market in 1960 from a small electric furnace factory in the North-Eastern town of Utena. 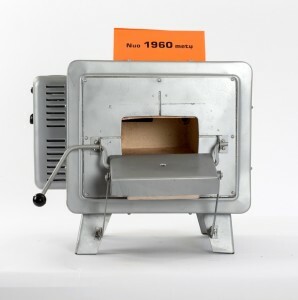 SNOL today produce over 70 models of Laboratory furnaces and ovens and over 90 models of Industrial furnaces/ovens. In 2004 the company merged with AB Umega group, the largest metal processing company in the Baltic States having more than 700 employees. As a market leader in the CIS countries (Commonwealth of Independence States), SNOL offer Almor a short lead time for the most popular products in their portfolio. Developed according to European standards – SNOL products bear CE mark and company’s Quality Management System is certified by Bureau Veritas Quality International in compliance with ISO 9001:2008 / LST EN ISO 9001:2008 standards. One of the biggest manufacturers in the world – reaching more than 4000 units per year. Reliability – we pay specific attention to products functionality and features. Short lead time – we keep our most popular products in stock and 90% of our production is built in house. Our team of professional engineers are ready to offer customized solutions for your Hot innovations! This further enhances Almor’s ‘All Round Capability’ from it’s Furnaces division to provide a reliable ready source of small/medium Standard Laboratory Ovens and Furnaces to the heat treatment UK market.